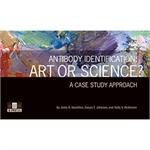 These cases present serologic problem solving as a series of logical and systematic steps, demonstrating that the art, as well as the science, of antibody identification can be a learned skill. This book steps in where hands-on practice may struggle to go. 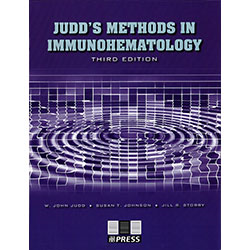 Written by practicing serologists and educators, these case study simulations examine techniques for alloantibody identification including use of chemicals, inhibition, adsorption, and adsorption/elution. Each case begins with a clinical scenario and initial test results, which are followed by a series of multiple-choice questions that offer testing options and protocols for resolution. Along the way, the reader is provided with detailed feedback designed to enhance reflection and critical thinking. Equally suited to classroom or individual study, the printed book is supplemented by an online component without the answers, to provide a realistic testing situation.